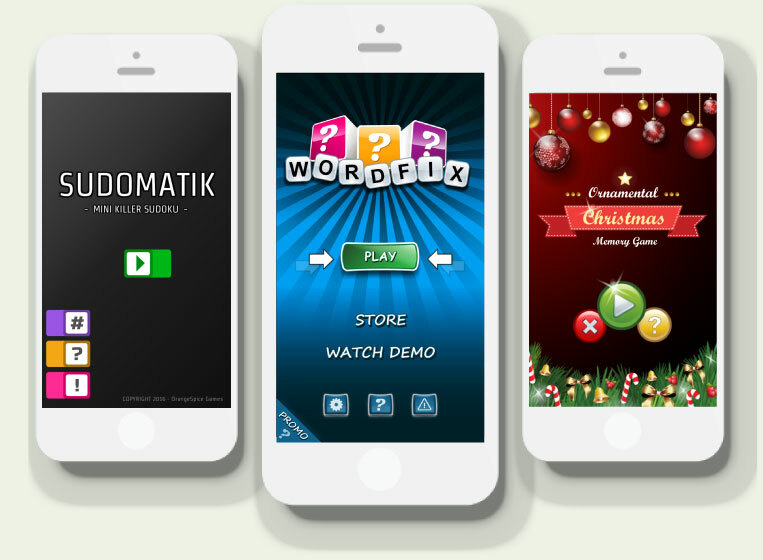 WORDFIX is a fun, new word game that will keep you challenged, game after game! It's easy to play, yet surprisingly difficult. Simply fix all 15 words to win the game - sound easy? Give WORDFIX a try! Fix the word by ordering the jumble of letters before the timer runs out. Work your way through three words of the same length to complete one level. There are five levels of difficulty: Novice, Junior, Pro, Expert and Master. 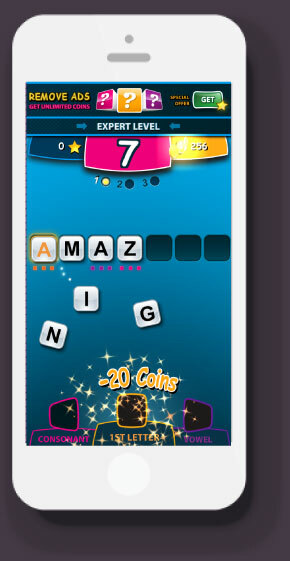 With every level, the number of letters per word increases. Earn coins each time you complete a level. Use these coins for clues to help you solve the words. All words can be found in both Merriam-Webster and Oxford dictionaries. Get it now! Christmas baubles on a tree light up randomly to create a sequence. Can you replicate the sequence? Challenge your friends and family with this great festive game. If you get the sequence wrong, don't get your tinsel in a tangle: Use one of your Christmas lives and jingle on. 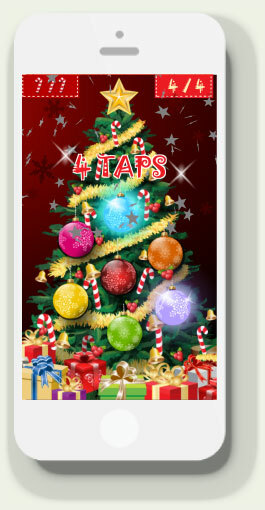 Ornamental Christmas Memory Game will sharpen your memory, and provide you with hours of fun. Compete with family and friends around the Christmas dinner table: Who will set the highest score? Get it now! SUDOMATIK Mini Killer Sudoku - your favorite Killer Sudoku puzzle in a mini 6-by-6 grid. If you enjoy Killer Sudoku, this Mini Killer Sudoku will be sure to keep you entertained. Over 500 hand-made puzzles - each with only one unique solution. 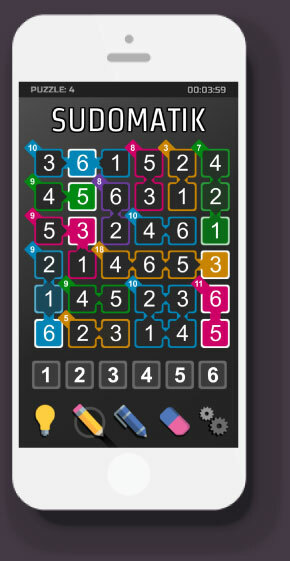 The objective of the game is to complete the grid using only the numbers 1 to 6. Use the group totals to determine the possible number combinations. Each group's values must add up to the group total in the top left corner of the group. No repeat numbers are allowed in any column, row or group. Beautiful graphics, amazing animations, addictive and smooth game-play, and killer features work together to make a quality game. If you like puzzle games, SUDOMATIK Mini Killer Sudoku is for you - you won't want to put it down! Get it now!